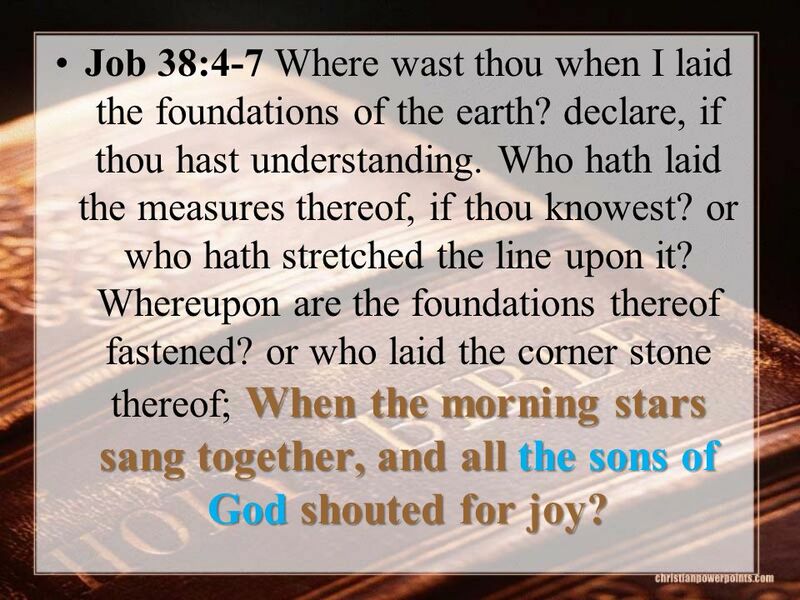 Job 38:4-7 Where wast thou when I laid the foundations of the earth? declare, if thou hast understanding. Who hath laid the measures thereof, if thou knowest? or who hath stretched the line upon it? Whereupon are the foundations thereof fastened? or who laid the corner stone thereof; When the morning stars sang together, and all the sons of God shouted for joy?